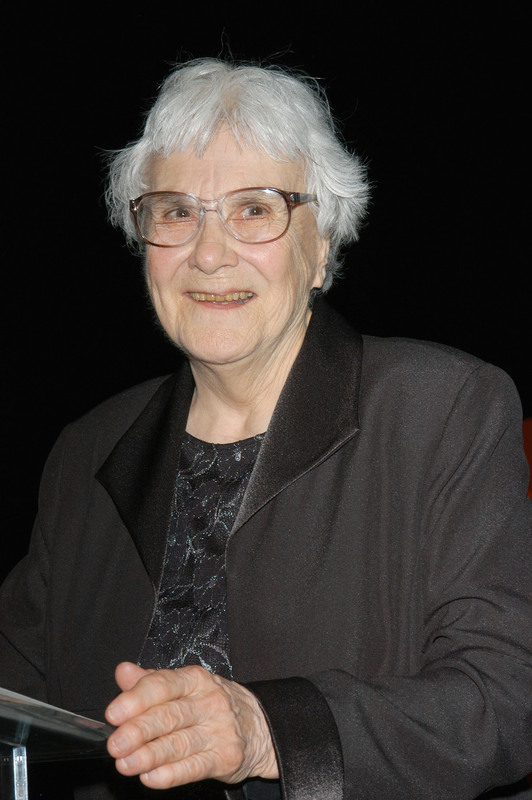 The controversy around Harper Lee's To Kill a Mockingbird sequel Go Set a Watchman has been made official, as the State of Alabama is investigating at least one elder abuse complaint filed around the author. Harper is famously reclusive, even comparing herself to To Kill a Mockingbird character Boo Radley, and so her state of mind around publishing this "new" book has been questioned since it was announced. Lee has spoken up twice about the decision, once stating that she was completely supportive of the sequel and then to tell an Alabama reporter to "Go away" when he asked for an interview about her state of mind. According to The New York Times, the State of Alabama's Human Resources Department and the Alabama Securities Commission both spoke to the author last month, as well as interviewed employees of her living facility, friends, and neighbors. The latter organization's role is to prevent financial fraud against the elderly — a claim many, at least anecdotally, believe to be the problem. Since Lee's sister Alice passed away, power in Lee's estate went to lawyer Tonja Carter, who many believe has taken steps out of character for the beloved author, such as suing both Nelle’s longtime literary agent and the local courthouse museum for what Carter believed was benefiting off To Kill a Mockingbird’s fame. [Harper] doesn’t know from minute to the other what she’s told anybody. She’s surprised at anything she hears because she doesn’t remember anything that’s ever been said about it. Mills echoed these same feelings to The Washington Post in February. My feeling is that Alice’s statement in Alice’s words is a pretty concise snapshot of what the concerns are. From what I’ve heard, [Harper Lee] can sound okay in conversation but not remember that somebody has come to see her the day before. A doctor who did not treat Lee specifically, but who has been a friend to the author, admitted to The New York Times that he filed an anonymous complaint with Alabama's adult protective services hotline because he was concerned about the author being taken advantage of financially. There's no officially report on the State of Alabama investigation yet, and Human Resources Department spokesman Barry Spear told The New York Times that he could not comment on the investigation.